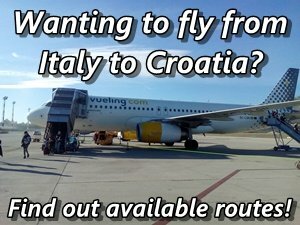 If you need to travel between Italian port of Venice and Porec, Croatian port situated on the west coast of Istrian peninsula you can choose from two ferry operators - Venezia Lines and Atlas Kompas). 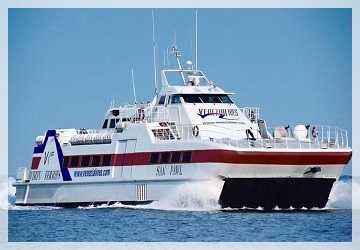 Both companies operates high-speed passenger catamarans only during summer season. Venezia Lines operates two modern catamaran, San Pawl and San Frangisk, that can carry up to 310 passengers (280 in economy class, 30 in Vip class). Crossing between Venice and Porec takes approximately 2 hours 45 minutes. In 2019 the service starts on 27th April and ends on 6th of October. Atlas Kompas operates catamarans between Venice and Porec during summer season. 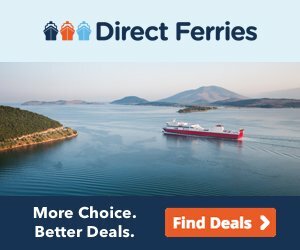 They operate two catamarans on this route - Prince of Venice (303 passengers) and Adriatic Jet (343 passengers). The journey on this modern catamarans takes around 3 hours. In 2017 the service starts on 7th May and ends on 17th of October. This service is daily.